Your business deserves the best. 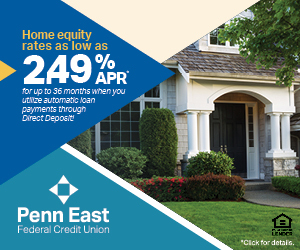 Penn East is here to better your business. Stop into any branch or give us a call to find out how we can serve your business needs. When managing your business, you need the right partner. A loan from us can help your company grow and suceed. We offer several different types of loans to meet your business needs. No matter where you are at, we want to help you grow and succeed. Contact the credit union for full details.